It’s no surprise to anyone who’s waited tables: Customers can be rude, and often you have to put up with it if you want them to tip well. 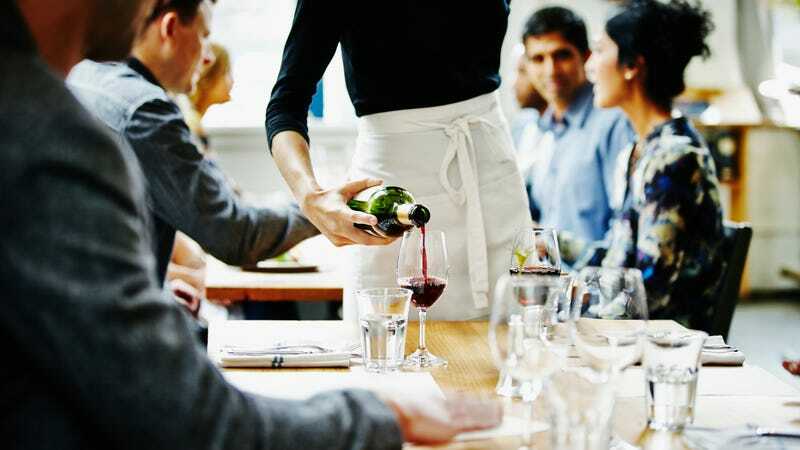 But a recent feature in The New York Times examines how customer behavior can often cross the line from impolite to aggressive—leaving servers to decide whether to speak up for themselves and risk losing tip money. The strength of the NYT piece is that it allows the servers to speak in their own words, encouraging readers to imagine what they’d do in the same scenario. Following invasive questions and groping, employees outline the difficult mental calculations that go into deciding whether to push back and lose out on much-needed gratuities. The article also offers important context. For example, in 12 states and the District of Columbia, it’s legal for restaurants to pay servers less than minimum wage, forcing a heavy reliance on tips. And many hospitality industry workers aren’t part of a union or organization, leaving them at times unclear of what their workplace rights are. Read about why servers are divided on no-tipping policies, what role high-profile chef scandals have played in public understanding of harassment, and more in the full New York Times piece. Does sparkling water hydrate as well as still water? Ask The Salty Waitress: Why does the server ask if my wife and I need separate checks? Yogurt yogurt on the wall, which is the fanciest one of all?